Due to this programming aspect of CMS, technical experts are required to develop, update and maintain the CMS. Depending upon the complexity of the organization, this type of programming can prove to be costly to the organization. CMS is susceptible to hackers who can programmatically manipulate content and content displays that can result in loss of organizational reputation and perhaps even customers. Users are stuck with the presentation templates that have been created and do not have any flexibility in changing them easily. If content authorship is centralized and it has to go through an approval process then this can create bottlenecks if approvals are not done in time. If content authorship is distributed then how does the organization make sure that the content being created complies with organizational policies? 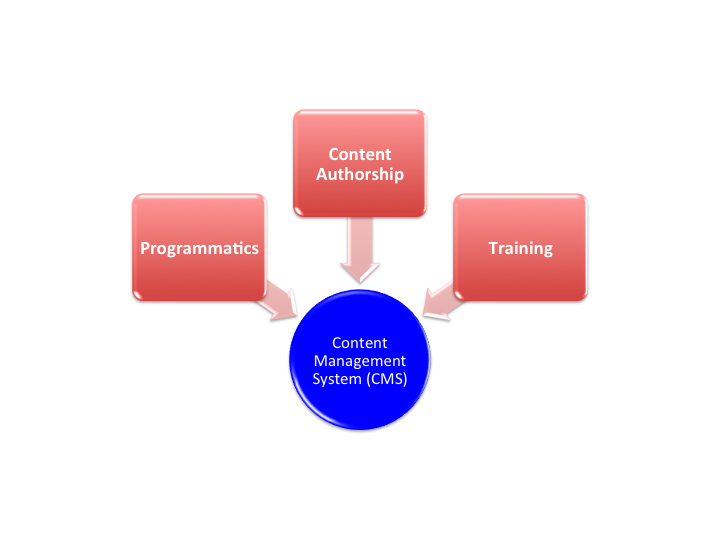 Since CMS is a system user have to be trained on how to create content that complies with the policies and procedures being used in the system. Depending upon the user base, this training can prove to be difficult if people are not willing to change their habits. Ineffective and complex training can lead to a CMS no one is willing to use. Previous How to select an Enterprise Architecture Framework? Next What is the relationship between Cloud Computing and Service Orientated Architecture (SOA)?